Carl joined the SAHC staff in 2000. He graduated from Stanford University in 1984 with a BA in History, and the University of Alabama Law School in 1988. Carl practiced law in Seattle before moving to Asheville in 1995. 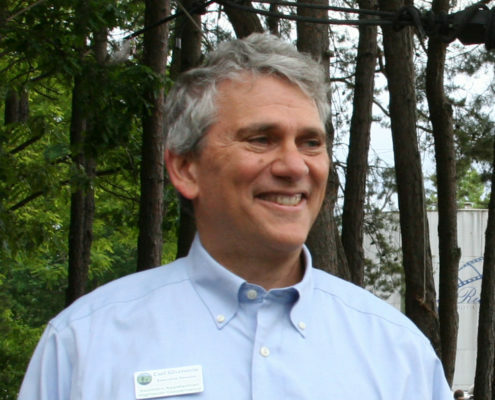 Carl serves on the Buncombe County Land Conservation Advisory Board and on the Claims Committee of Terrafirma Risk Retention Group. Terrafirma is a charitable risk pool created by the national Land Trust Alliance to insure its members against the legal costs of defending conservation interests. Kristy Urquhart has been Associate Director for SAHC since 1997 and has served on the staff since 1991. She graduated from King College with a BA in Business/Economics and worked in orchard management in Ithaca, NY, before moving to Asheville in 1991. Kristy is very active with the Asheville Humane Society. Lisa joined the SAHC staff in 2011. 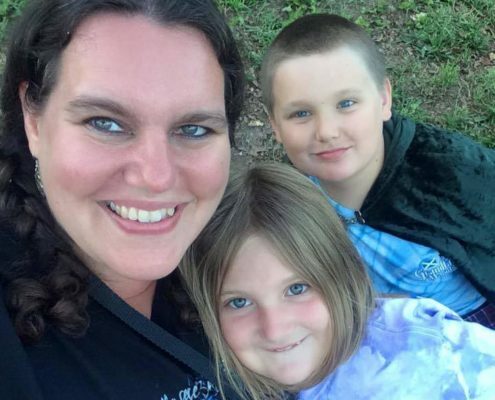 She has a BSBA in Accounting from Mississippi College, and has 15 years of for-profit experience, including 9 years in the area of consumer finance. She relocated to western NC in August 2010. Lisa oversees the financial accounts of the organization. Michelle joined the SAHC staff in 2007. 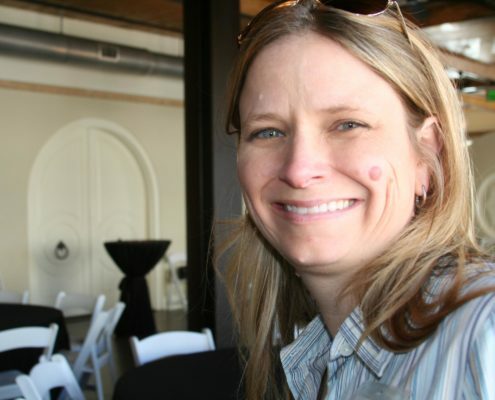 Michelle previously served as the St. Simons Land Trust Director of Land Protection. She graduated from Lafayette College with a BA in Biology and from the Nicholas School of the Environment at Duke University with a Masters of Environmental Management degree. Michelle manages the organization’s land and conservation easement acquisitions. Jess leads our efforts to conserve farmland. A native of Swannanoa, she grew up on the campus of Warren Wilson College and enjoyed roaming nearby mountains. She earned a BS in neuroscience and a BA in Spanish from Furman University in 2006. Her sense of adventure led her to study and work abroad before returning home to farm in these mountains. 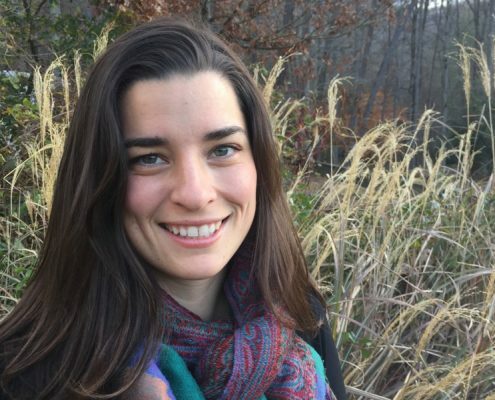 Jess joined our staff in 2017, after serving almost 3 years as the Director of the Blue Ridge Forever land trust coalition. Chris manages the operations on the Community Farm, working to grow the infrastructure and the Beginning Farmer Incubator Program. Originally from the eastern shore of Maryland, he holds a degree in planning & landscape architecture from Clemson University. Previously, Chris farmed on a year-round CSA community land trust farm in New England and a small, bio-intensive farm in Bostic, NC. Hanni joined SAHC in 2007 and oversees the organization’s program of monitoring and managing our conservation easements and properties we own. She grew up in Haywood County, NC. Hanni previously worked for High Country Conservancy (now Blue Ridge Conservancy) in Boone, NC through AmeriCorps Project Conserve; Great Smoky Mountains National Park; Friends of Great Smoky Mountains National Park; and Neil Smith National Wildlife Refuge in Iowa. She received her B.A. in Biology & Environmental Studies from Oberlin College, OH. 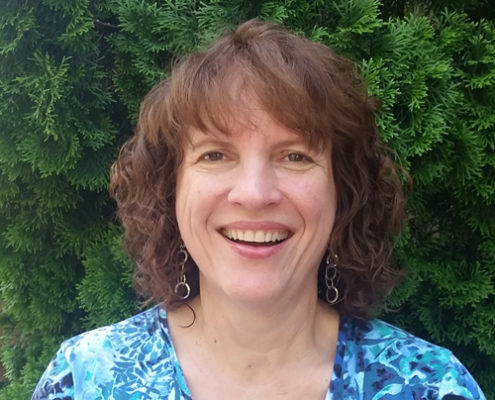 She holds a Certificate in Nonprofit Management from Duke University and a Geospatial Technology Certificate from Asheville-Buncombe Technical College. Marquette was raised on a farm near Cumberland Gap, TN and received her MS in Biological Science from East Tennessee State University. 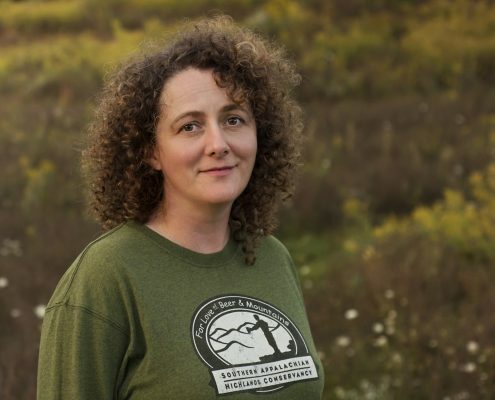 For the past 8 years, she has been the Wildlife Biologist of the Canaan Valley National Wildlife Refuge in Davis, WV. She was a founding member of the Central Appalachian Spruce Restoration Initiative, a multi-agency group working to restore high elevation spruce-fir forest. Marquette joined SAHC in 2014 and facilitates SAHC’s Roan stewardship program and serves as the primary land steward on SAHC-owned preserves in the Roan. Sarah joined our Stewardship staff in 2014, but has served on the Land Management Committee since 2010 and has been a long-time volunteer. 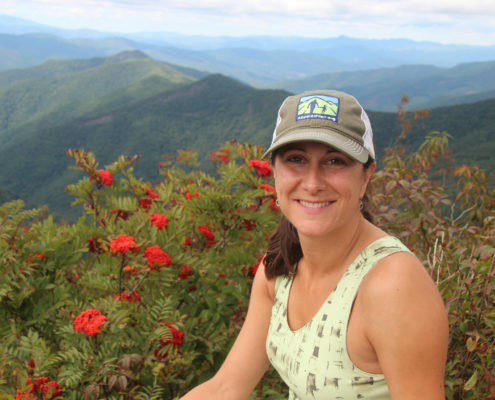 As Stewardship Associate, she monitors conservation easements, manages SAHC-owned land outside of the Roan Highlands and assists landowners with caring for their property’s natural resources. 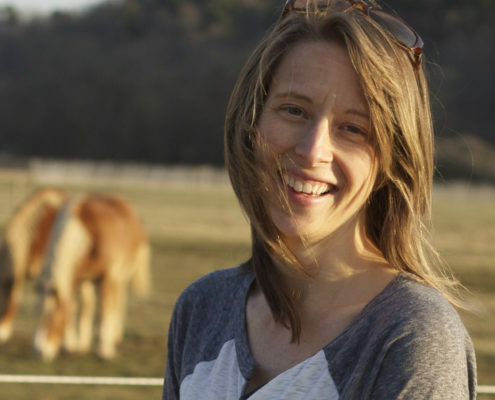 Sarah previously received her BS in Biology from James Madison University and her MS in Ecology from UNC-Chapel Hill. 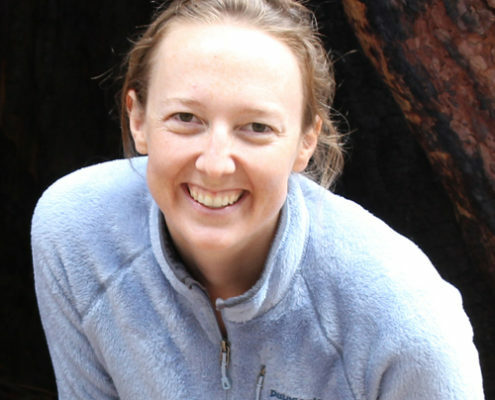 With a background in plant conservation and horticulture, she previously worked as a plant ecologist for a local environmental consulting firm and later served as Director of Education and Conservation at an outdoor recreation and adventure company. Chris joined SAHC in 2019 to assist with our growing stewardship responsibilities. 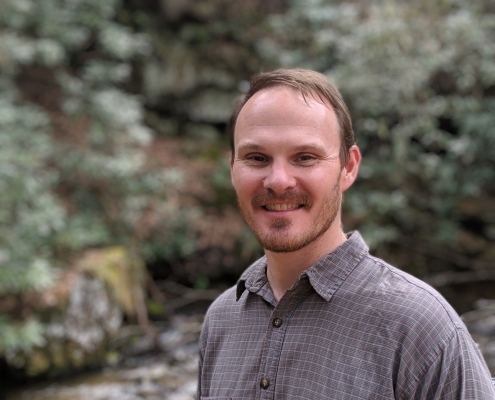 He is from the southern Appalachians and has conservation experience that includes stewardship roles with the Blue Ridge Conservancy in Boone, NC and the Congaree Land Trust in Columbia, SC. Chris holds a M.A. 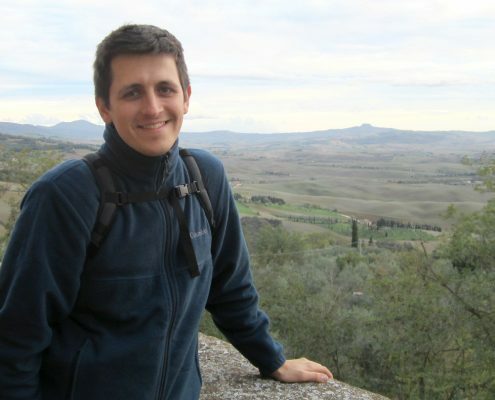 from the Department of Geography and Planning at Appalachian State University and specializes in thinking about riparian ecosystems in the southeastern U.S.
Travis Bordley was born and raised in Durham, North Carolina. Growing up, Travis was lucky enough to spend every summer in the Western North Carolina hiking in the mountains, plunging into shady creeks, and developing a deep connection with the land. He received a BS in Environmental Science from UNC-Asheville. There he developed his love for the natural world and also a passion for photography. Travis has worked with SAHC since 2016 as an AmeriCorps member and as the Roan Naturalist. As the Seasonal Ecologist he will work to incorporate all his past experiences into one position to best take care of the Roan Highlands. 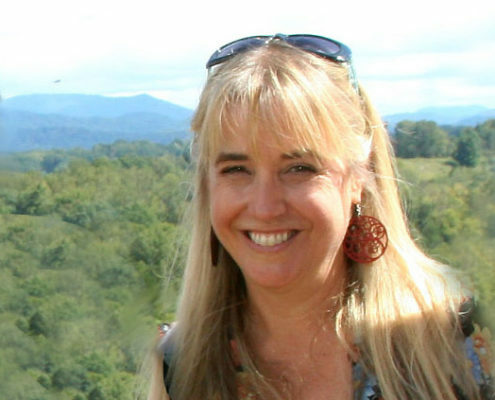 Born and raised in Waynesville, NC, Cheryl completed an Associate of Applied Science degree in Commercial Art and Advertising Design from Southwestern Community College of Sylva in 1994. Cheryl worked in printing and design, and operated a graphic design business before joining the SAHC staff in 2001. Cheryl coordinates membership, our membership program materials, planning and implementing special events, and public outreach. Pauline joined SAHC in 2013 to increase our fundraising capacity by connecting with passionate donors. Previously she worked at Arizona State University Foundation as Assistant Director of Women & Philanthropy and as the Development Coordinator at the Frank Lloyd Wright Foundation. Pauline received her Bachelor of Arts in Communications at Kent State University and her Masters of Public Policy at Arizona State University. Angela joined the SAHC staff in 2010. She graduated from the University of South Carolina with a BA in Public Relations, spent 9 years in graphic design for advertising publications, and earned MA in Geography with a Planning Concentration from Appalachian State University. Angela coordinates SAHC’s media relations as well as online and printed communications tools. Lauren joined our team in 2017 to manage facilities on conservation properties and help advance our goal of ‘Connecting People with Land.’ Formerly from New Jersey, she made the move to Asheville to put down roots and is excited to share her passion for conservation. 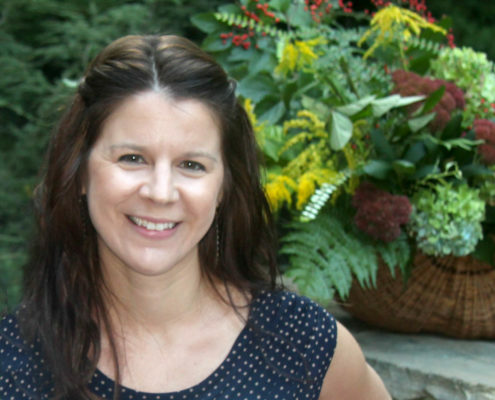 Lauren previously served as the Outreach and Agriculture Coordinator with Grow It Green in Morristown NJ. 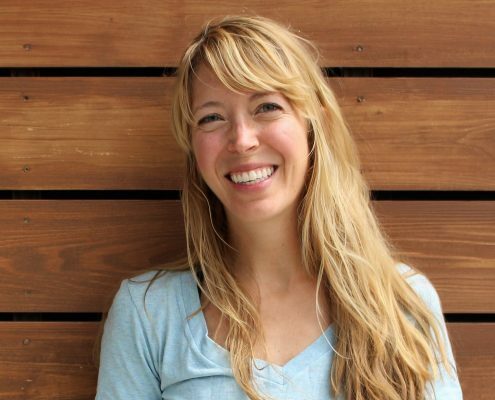 She brings with her years of experience in Ecotourism, environmental education, and program development. Whisper is a graduate of Winthrop University, with a degree in Psychology and minor in Social Science. She works with the YMCA of WNC as a Personal Trainer and Group Fitness Coach. Whisper has been a raft/kayak guide on the Catawba River and facilitated group hikes and cycle trips in the Charlotte area. Israel graduated from UNC Asheville in Environmental Studies. He has researched the origin of the invasive boa constrictor in the US Virgin Islands, led outdoor backpacking and mountain biking for UNC Asheville students, and helped research high elevation seeps along the Appalachian Trail. Israel recently rode his bike across the United States. Larissa graduated from Warren Wilson College in Biochemistry. She was a Forestry Crew Leader at WWC, as well as helped lead her college’s successful divestment from fossil fuels campaign. Outside of college, Larissa has worked in Vermont and Alabama performing forest treatments and bark beetle assessments. Emma joins SAHC for her second year with Project Conserve, the first spent as Volunteer Coordinator with RiverLink in Asheville. Emma graduated from Oberlin College in OH with a Biology and Environmental Studies Degree. During College, she worked on an Emerald Ash Borer research project, mentored students with movement education and taught outdoor/environmental education. Cate returns for a second year of traversing SAHC properties. She is originally from the state of Washington and graduated from the University of Oregon in Biology and Environmental Science, where she researched farmland microbe conditions and seed production. Cate has also worked with the Environmental Law Alliance Worldwide and Audubon. These exceptional volunteers contribute time and professional expertise to serve SAHC and our community. Meet our current Board of Trustees.